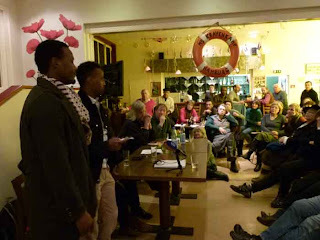 Reclaim the Seas: Evening about the trial at the German Seemans Mission in Hamburg. 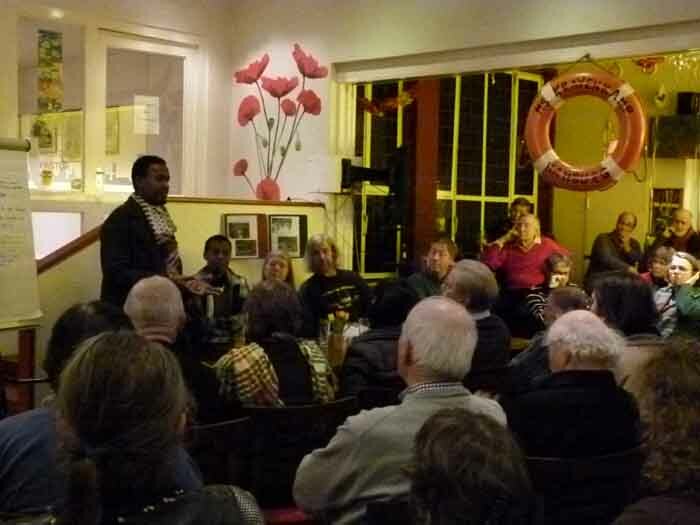 Evening about the trial at the German Seemans Mission in Hamburg. 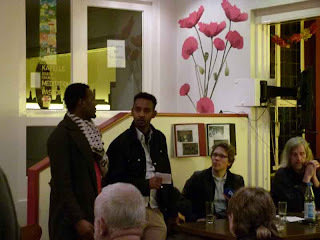 On the 6 th March an evening took place in the Seemans Mission in Hamburg . 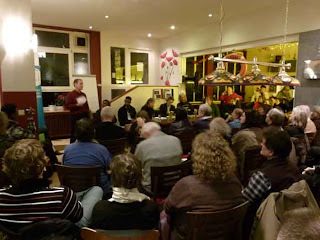 Organised from Center for Mission and Ökumene -Nord Church worlwide- Brücke-Ökumenisches Forum Hafencity-Eine Welt Netzwerk Hamburg. Pirates in Hamburg: ready to prosecute? 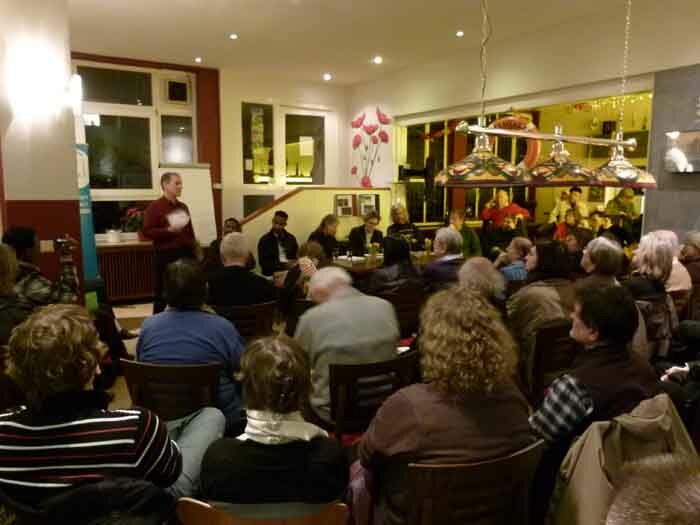 The diskussion was moderated by Frank Engelbrecht Priester of the Main Church St. Katharinen. 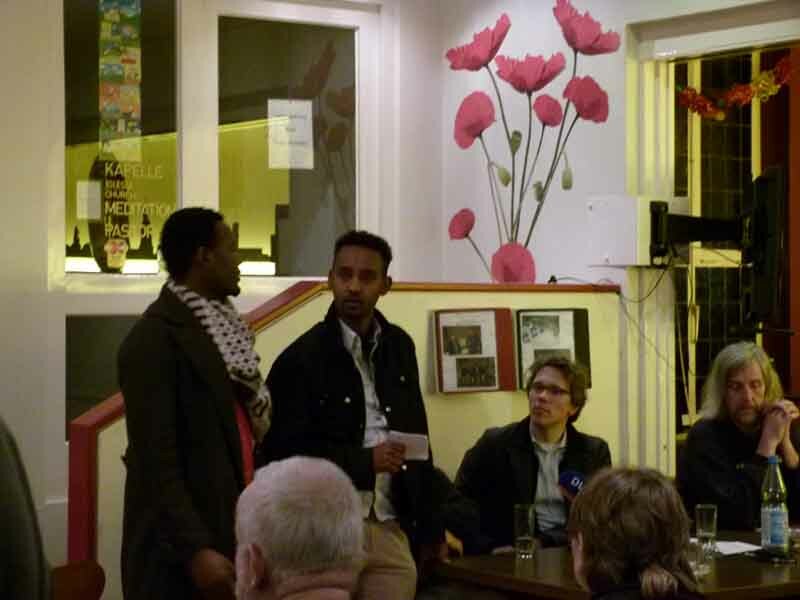 Present were: Somali Journalist Mustafa Harun, The seemans Diakon of the Seemansclub Duckdalben in the Hamburg Harbour, R.Dohrn from No one is illegal, A.Friedetzy an observer of the trial. A very mixed publik among it at least 2 kaptains of big cargo vessels still crossing the horn of Afrika regularly. Their huge boats are fast and not in danger to be captured. The beste dialogue of the evening was when Somali Journalist M.Harun asked the German Kaptain, where his shipingcompany pays taxes for crossing the somalian waters.The Kaptain had before told that they always go near to the somali coast. The answer of the Kaptain came loud : "Your country has no goverment since 20 years! So i dont have to pay taxes to anybody." Exactly the same argument that the court uses to deny to hear witnesses from Somalia.